2018 Black Friday/Cyber Monday Sale: Get up to 50% off with two-year plans! Posted on November 23rd, 2018 by Richie Koch in Articles & News. Starting today, you can get two years of ProtonVPN protection for the price of one. 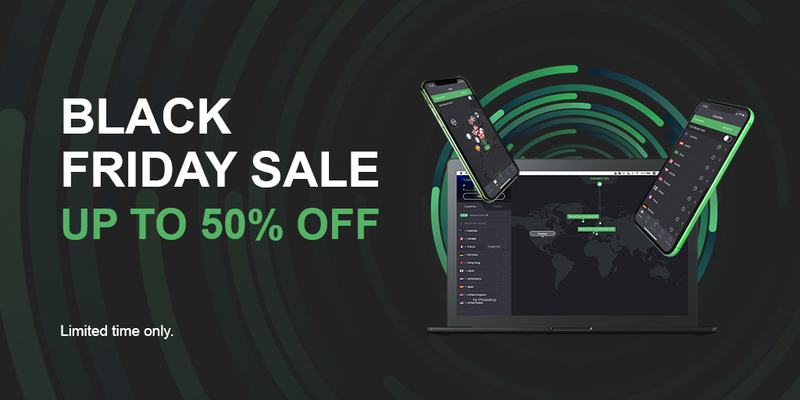 Black Friday and Cyber Monday are the only times that ProtonVPN goes on sale. This promotion is available for a limited time only. From Friday, Nov. 23 until Friday, Nov. 30 we will be offering a special “two years for the price of one” promotion for Black Friday and Cyber Monday. Promotions are available for both new and existing users! Get ProtonVPN for 50% off with our “get two years for the price of one” promotion. You can get this special Black Friday pricing by following the link below. You can also get ProtonVPN for 50% off. To access your Black Friday discounts, go to your ProtonVPN Dashboard. The Black Friday/Cyber Monday sale button will be in the upper right menu bar. Unlike most companies, we are also offering special promotions to existing paid users. Because existing users have a wide variety of plans, the promotions being offered are different depending on your existing plan. In most cases though, you can also get up to 50% off with a two-year plan! You can access the Black Friday offer by going to the ProtonVPN Dashboard and clicking on the Black Friday/Cyber Monday sale button in the upper right menu bar. If you are a ProtonMail user as well as a ProtonVPN user, you can also access the Black Friday promotion by logging in at mail.protonmail.com and clicking on the Black Friday/Cyber Monday sale button in the upper right menu bar. What happens to my existing paid plan? If you are already a paying ProtonVPN user and you take advantage of this promotion, the new plan you select will replace your existing plan. However, when you go to check out, we will automatically deduct the unused balance of your existing subscription from the price of the promotion. Thus, you don’t lose any of the money you paid for your existing plan. Please find more information here. If you are also interested in getting an encrypted email account to protect your privacy, we are offering 50% off on bundles with ProtonMail. It has been an eventful year for us. The ProtonVPN community recently passed 1 million users, which is a major milestone! Thanks to your support, this year we were able to launch the ProtonVPN clients for Android, iOS, MacOS, and Linux, and also expand our server network to 30 countries. In addition to helping you save money, this sale will help us achieve our goal of bringing Internet privacy to everyone. ProtonVPN is a community-supported project, and revenue from paid subscriptions is our only source of funding. The proceeds from this promotion will be used to develop exciting new features in 2019 to make ProtonVPN even better. As always, if you have any questions about the promotion, feel free to contact our support team. Thank you again for your support, and we wish you a great holiday season! will I be charged monthly or yearly? will I be charged 144$ when I checkout or only 6 every month for a 2-year subscription? Hey Marcus! Black Friday / Cyber Monday offers are billed annually, thus in this case you will be billed whole 144$ for two years. Thank you so much! Although I was happy with the basic VPN, Plus is even better! An excellent opportunity for an affordable upgrade. Hey John! Thank you for the support! The blog tells me that the promotion is available ‘From Friday, Nov. 23 until Friday, Nov. 30’. Logged in it tells me that ‘Black Friday sale ends in: 01d : 11h : 19m : 47s’. Which one is it now? Hello! The Black Friday / Cyber Monday sale is valid until this Friday – if the time in the countdown differs, that is most likely a technical issue, sorry for inconveniences!